Greggy G has found plenty of mismatches this week! Well, I survived another Bachelor Party and was able to enjoy myself a little more thanks to a profitable evening Friday in the NBA. Of course, I was well-behaved and only donated money to the phenomenal dancing style of a young lady named ONYX for my friends and was able to fight-down plenty of Well-Vodka and Red Bull to make the pony-tailed male bartender ask if I always keep my eyes closed when ordering at the bar. But enough about our weekend, it’s back to the ATS grind and I’ve got a feeling I’m due for a huge week…Let’s make it Rain! The Hoyas have dominated on the block! 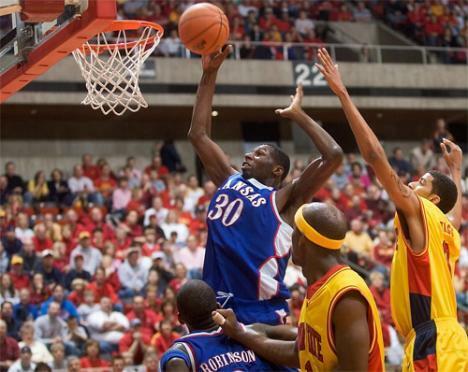 Just like against the Cyclones, the Jayhawks will dominate the Sooners above the rim! Who doesn't want to bet on what Santa Clara has to offer! The Raptors have a hard-working frontcourt! The Lakers seem to be playing with a little more flare of late! This page contains a single article from February 26, 2007 11:22 AM. The previous days article was Money Mike's weekend hoop picks . 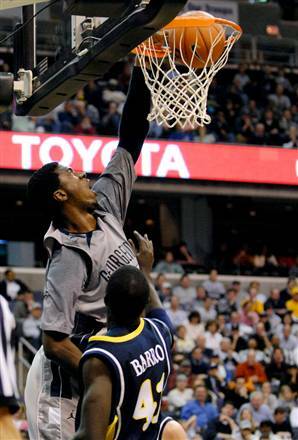 The next days article was Greg Gamble’s Hoop Special: 134-118 ATS.